For the music to flow then the body needs to be as well-tuned as the instrument. Maintaining our bodies to be in perfect working order takes understanding and care, and we need to take a little time to look after ourselves. Long hours of practicing and performing can lead to discomfort, pain and even injury; the causes of which may be postural or to do with technique. We understand movement and we can identify patterns and postural issues that can lead to tension in your playing. each instrument has its own issues to be addressed and certain players succumb to more problems than others. For example string players in particular are susceptible to muscular strain and tension across the shoulders, into the neck as well as the back. This is often simple to correct once the right areas have been identified. Our process is to look at the way that you hold yourself and your instrument when you play, and to make sure that you have a good stable base of support, good balance, alignment and that you are not using muscles that you don’t need to. We can give you dynamic activities to help to keep the right amount of tone in the right places, as well as things to do to maintain your balance and stability. We can also treat the areas that are holding too much tension. Whether you are a professional musician, studying hard for grade exams or you simply play for pleasure then let us have a look at how you move and help you to free your movement. 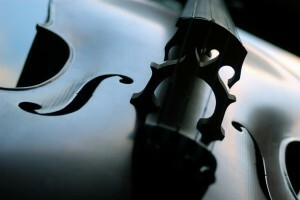 Whatever your instrument, whether orchestral or not then we can help. If you would like an assessment and advice from people who truly understand movement, and musicians, then please give us a call to make an appointment on 01786 831100.